I’m all alone in the office. My deskbuddy and a bunch of other staff are out at Broken Hill at a conference. So my friend JB got wind of this and asked me out to lunch! Yay! Someone to talk to! He suggested the Establishment…oohh good choice. Haven’t been there for ages! Since then, I think The Establishment has quietened down. Renown as “The Drycleaners” for it’s Thursday night free champagne for ladies, where you “go to pick up a suit”, I had forgotten that it also has a Thai influenced bistro in the Gin Garden the lovely atrium past the main bar. 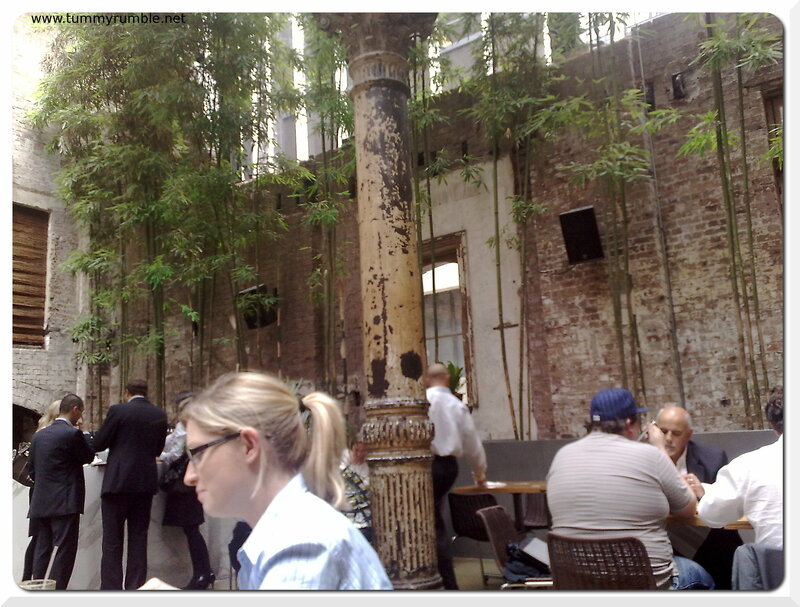 Anyway, JB and I head in, grab a drink at the bar, and are quickly seated in the beautiful Garden Atrium. 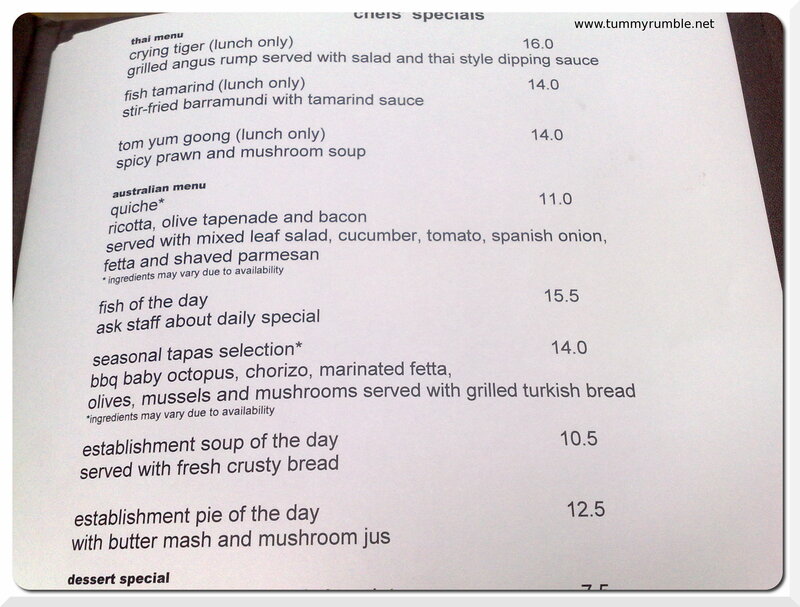 Does anyone else think that it’s funny that the first item on the “Australian Menu” is Quiche? Ha! We quickly settle on the Crying Tiger…mmm steak! I was a little worried as in most Thai restaurants I go to, you don’t really get anything with the Crying Tiger, a few garnishes but that’s about it. 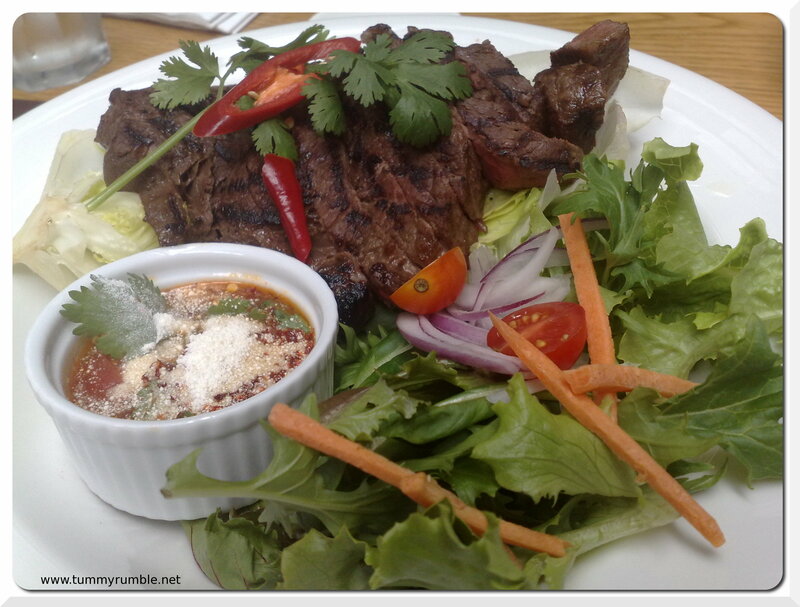 Here, I was happily surprised as there was a decent amount of salad accompanying the steak. Apparently, the literal translation of this dish is “as the tiger weeps” in reference to the amount of chilli heat it should contain. Thankfully, I avoid the biggest pieces of chilli thereby avoiding the inevitable snot avalanche on my dining companion! 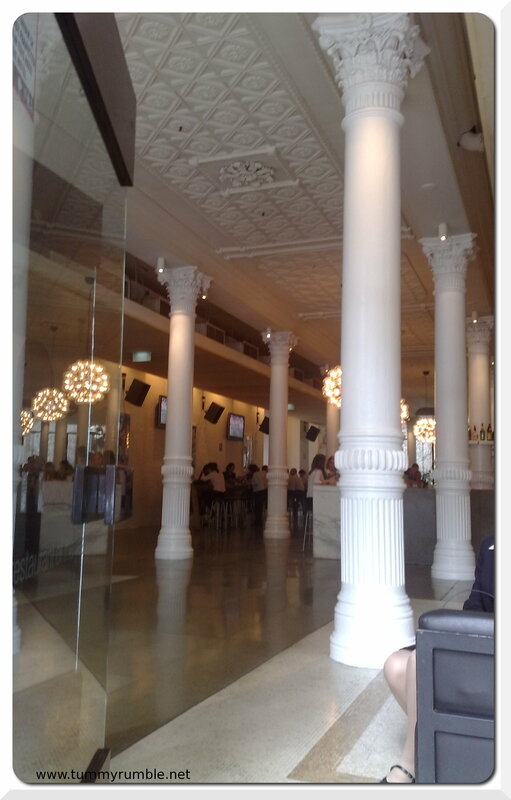 I’m glad to have rediscovered the Establishment’s other purpose, that is, to feed the hungry masses decent food! well. i dont think you can ever mock my status updates again, miss snot avalanche. Mmm, Yes, lunch was yum! And I like your pics too! 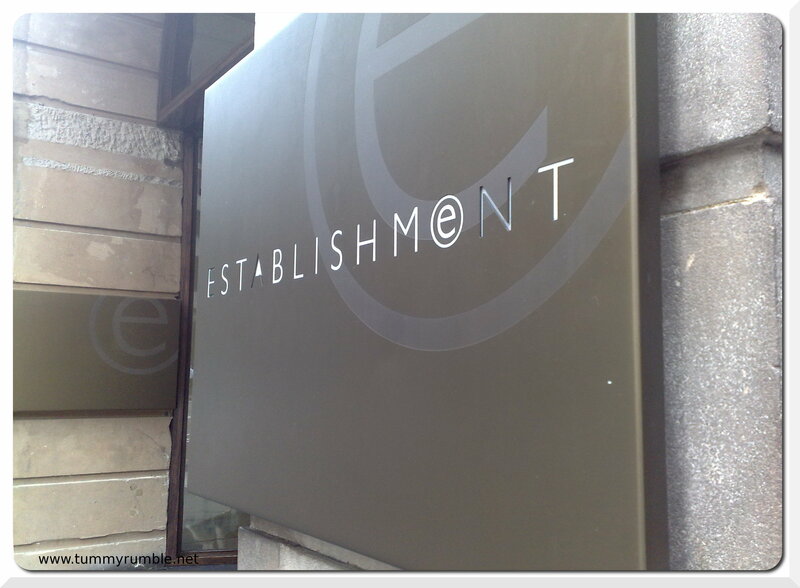 I too used to go to the Establishment (restaurant) all the time. Looks like it’s time to revisit, judging by that yummy-looking steak.